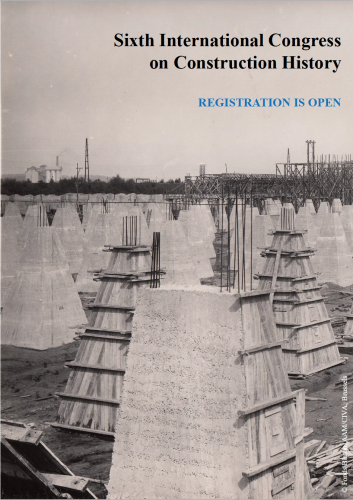 The Sixth International Congress on Construction History (6ICCH) will be organised in Brussels (Belgium), following previous editions in Madrid (2003), Cambridge (2006), Cottbus (2009), Paris (2012) and Chicago (2015). Over 170 international scholars will present the latest research in the field of construction history. This 5-day congress aims at favoring the share of knowledge at an international level and critically discussing future trends in research on construction history. On Wednesday July 11, guided tours to interesting buildings, structures, building sites, archives, etc. throughout Belgium are organized; discover them at www.6icch.org. 6ICCH is the event of 2018 for academics, scientists, building conservators, architects, historians, engineers, designers, contractors and other professionals involved or interested in the field of construction history. Don’t miss out on it and register now at www.6icch.org.